Sometimes a song is more than just a song. Sometimes it lives, breathes, and moves, shifting and growing as it burns itself into the depths of the subconscious. Sometimes it’s the perfect medicine to sooth a broken heart. Sometimes it sparks a wild fire of emotion, inspiring and motivating in ways nothing else could. When it all comes down to it, sometimes music transcends sound and becomes artistic majesty. The acoustic version of the track sheds away all the electronic production, leaving behind only a mournful piano and an acoustic guitar. Here the songwriting and vocals truly take center stage, allowing Marina to showcase her refined, operatic voice. It’s not every day you find a record so unabashedly radio-friendly, yet so unbelievably exposed, and hopefully “Lies” will find its place as Marina And The Diamonds’ next single. 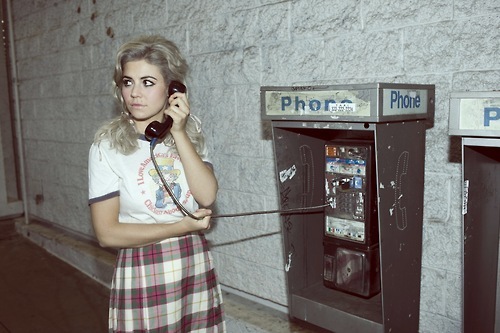 Pick up the track here on iTunes, and also check out the rest of her new album, Electra Heart. Marina And The Diamonds Drops Anti-Valentine's Day Anthem "E.V.O.L"